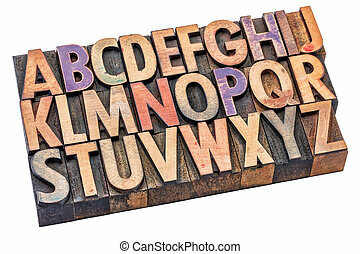 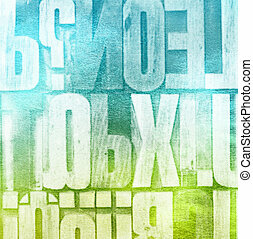 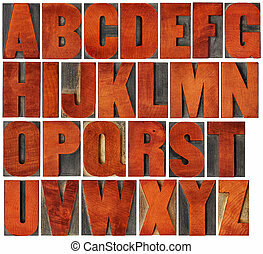 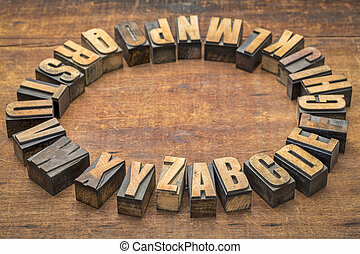 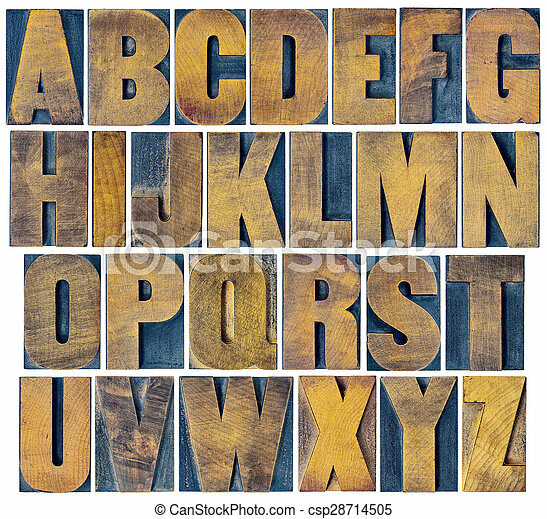 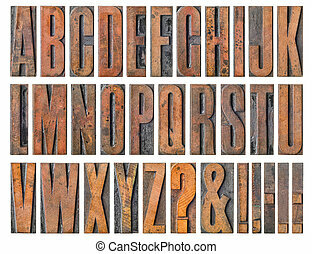 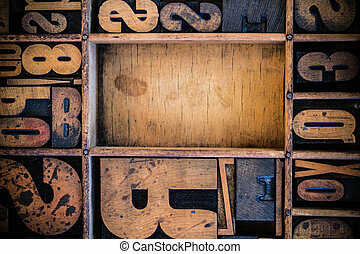 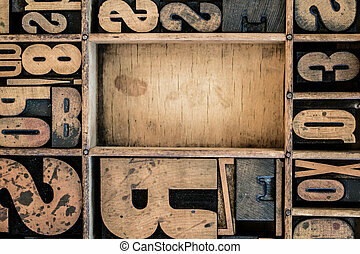 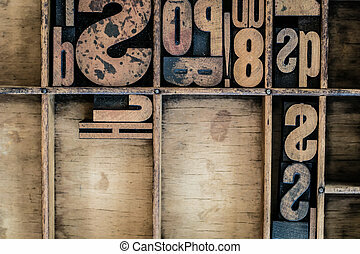 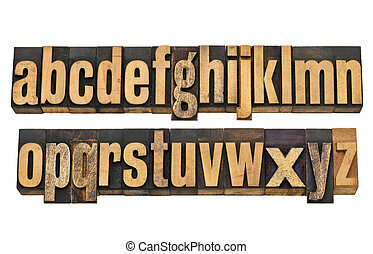 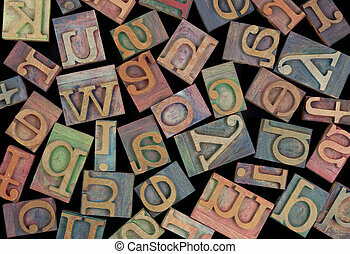 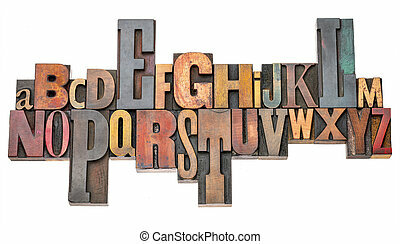 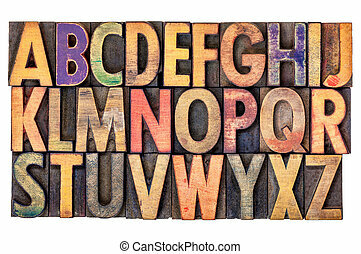 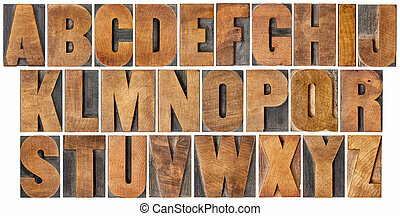 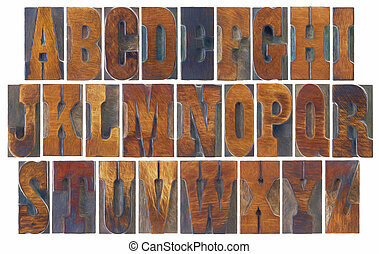 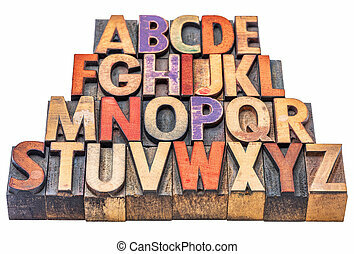 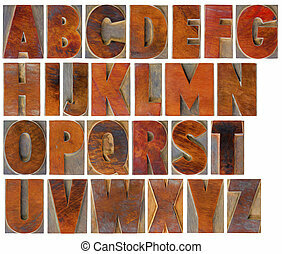 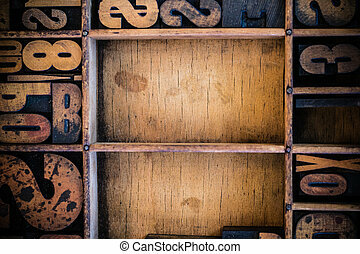 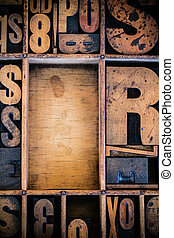 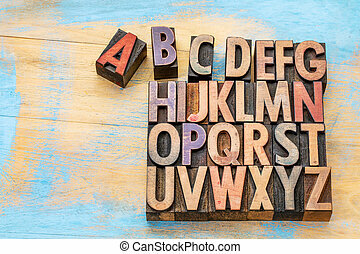 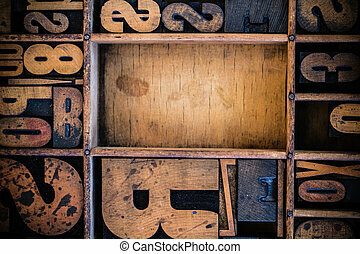 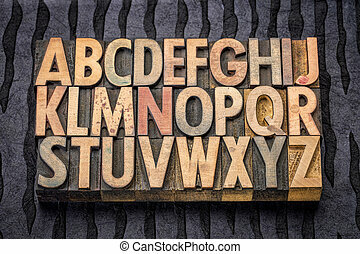 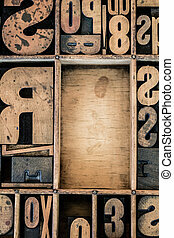 Alphabet set in vintage letterpress wood type. 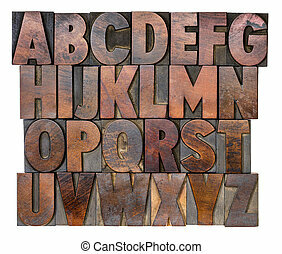 Complete english alphabet - collage of 26 isolated vintage wood letterpress printing blocks, scratched and stained by ink patina. 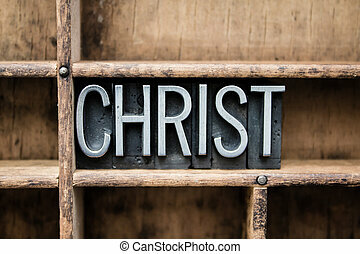 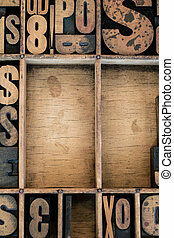 The word "CHRIST" written in vintage metal letterpress type in a wooden drawer with dividers. 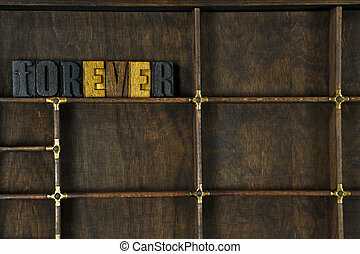 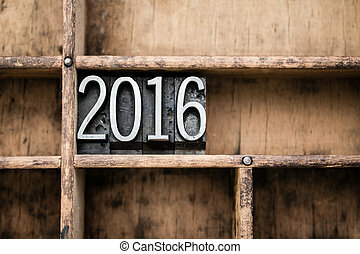 The word "2016" written in vintage metal letterpress type in a wooden drawer with dividers. 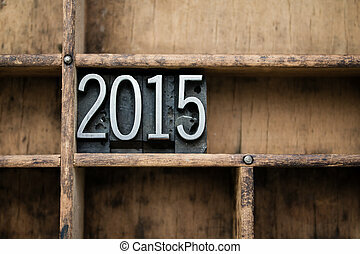 The word "2015" written in vintage metal letterpress type in a wooden drawer with dividers.